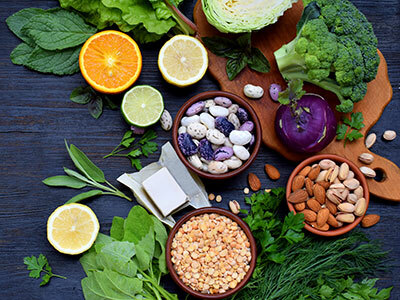 Researchers have known for decades that folate, a vitamin enriched in dark, leafy vegetables; fruit; nuts; and other food sources, plays a key role in preventing neural tube defects. Every year, about 3,000 pregnancies in the U.S. are affected by neural tube defects (NTDs) – birth defects of the brain, spine and spinal cord. These include anencephaly, in which a major part of the brain, skull and scalp is missing; and spina bifida, in which the backbone and membranes around the spinal cord don’t close properly during fetal development. These structural birth defects can have devastating effects: In the best cases, they might lead to mild but lifelong disability; in the worst cases, babies don’t survive. Researchers have known for decades that folate, a vitamin enriched in dark, leafy vegetables; fruit; nuts; and other food sources, plays a key role in preventing NTDs. To help get more folate into pregnant women’s diets, wheat flour in the U.S. and many other countries is often fortified with folic acid, a synthetic version of this vitamin, as part of an intervention credited with significantly reducing the incidence of NTDs. But folic acid supplementation isn’t enough, says Irene E. Zohn, Ph.D., a principal investigator at the Center for Neuroscience Research at Children’s National Health System who studies how genes and the environment interact during development. A significant number of NTDs still occur, suggesting that other approaches – potentially, other nutrients in the maternal diet – might provide further protection. That’s why Zohn and colleagues decided to investigate iron. Iron deficiency is one of the most common micronutrient deficiencies in women of childbearing age, Zohn explains. Additionally, iron and folate deficiencies often overlap and signal overall poor maternal diets. The idea that iron deficiency might play a role in NTDs came from studies by Zohn and colleagues of the flatiron mutant line of experimental models. This experimental model line has a mutation in a gene that transports iron across cell membranes, including the cells that supply embryos with this critical micronutrient. To determine if NTDs develop in these mutant experimental models because of reduced iron transport, the researchers devised a simple experiment: They took female adult experimental models with the mutation and separated them into four groups. For several weeks, one group ate a diet that was high in folic acid. Another group ate a diet high in iron. The third group ate a diet high in both folic acid and iron. The fourth group ate standard chow. All of these experimental models then became pregnant with embryos that harbored the flatiron mutation, and the researchers assessed the offspring for the presence of NTDs. As they reported in Birth Defects Research, the dietary interventions successfully increased iron stores: Experimental model mothers whose diets were supplemented with iron, folic acid or both had increased concentrations of these micronutrients in their blood. The dietary interventions also affected their offspring. While about 80 percent of flatiron mutant embryos fed a standard diet during pregnancy had NTDs, feeding a diet high in iron prevented NTDs in half of the offspring. This lower rate was similar in the offspring of mothers fed a diet high in both folic acid and iron, but not for those whose mothers ate just a diet high in folic acid. Those embryos had NTD rates as high as those who ate just the standard chow, suggesting that low iron was the cause of the high rates, not low folic acid. Together, Zohn says, these experiments show that iron plays an important role in the development of the neural tube and that deficits in iron might cause some cases of NTDs. However, she notes, reducing NTDs isn’t nearly as simple as supplementing pregnant women’s diets with iron. 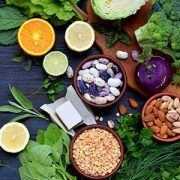 In the same study, the researchers found that when they gave normal experimental models that didn’t have the flatiron mutation concentrated iron supplements – amounts akin to what doctors might prescribe for human patients with very severe iron-deficiency anemia – folate stores dropped. That’s because these two micronutrients interact in the body with similar sites for absorption and storage in the intestines and liver, Zohn explains. At either the intestines or liver or at both locations, an iron overload might interfere with the body’s ability to absorb or use folate. At this point, she says, giving high doses of iron routinely during pregnancy doesn’t look like a feasible way to prevent NTDs. Zohn’s team plans to continue to investigate the role of iron, as well as the role of other micronutrients that might influence neural tube development. 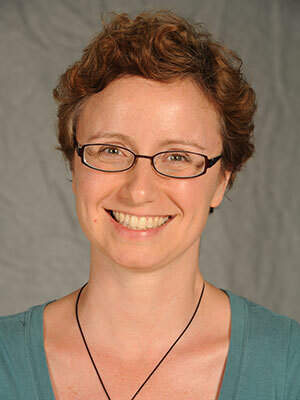 Zohn’s coauthors include Bethany A. Stokes, The George Washington University, and Julia A. Sabatino, Children’s National. Research reported in this story was supported by a grant from the Board of Visitors, Eunice Kennedy Shriver National Institute of Child Health & Human Development under award number R21-HD076202, the National Center for Research Resources under award number UL1RR031988, Children’s Research Institute and the National Institutes of Health under grant P30HD040677.